Rap artist Boots Riley’s directorial debut could be described as the cinematic love child spawned by Spike Lee, Charlie Kaufman, and Mike Judge, but even that reductive pitch wouldn't do justice to a film that dares to swing for the fences and defy categorization. Introducing a brazenly original voice in Riley with a very specific energy, in-your-face rage and readiness to shake everything up, “Sorry to Bother You” is something else, a pointed workplace satire about capitalism, cultural assimilation, code-switching, and labor relations. As a first-time effort, it is shaggy around the edges and bursting with perhaps more ideas in its head than it needs, but it’s also impressive how much Riley is able to get his arms around. 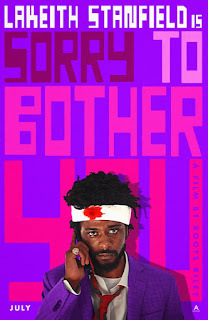 A game-changer of surreal, anarchic audacity that mainstream audiences won't know what hit them, "Sorry to Bother You" is too radically fresh, subversive, and provocative to be sorry. Oakland slacker Cassius “Cash” Green (Lakeith Stanfield) lives in the garage of the house owned by his uncle (Terry Crews) with sign-twirler/performance-art activist girlfriend Detroit (Tessa Thompson). Four months late on his rent, he’s so desperate for a job that he brings a fake “Employee of the Month” plaque and trophies to an interview. To his surprise, Cassius gets hired the commission-based position as a telemarketer at RegalView, where he must live by the motto STTS (Stick To The Script). It’s mundane at first and Cassius repeatedly gets hung up on, but when he takes the advice of his co-worker (Danny Glover) in the next cubicle, he starts using his “white voice” (the voice of David Cross). Cassius becomes so successful that he catapults to the top of the corporate ladder, being promoted as a “power caller” and getting in with Steve Lift (Armie Hammer), the coked-out CEO of WorryFree, a company offering people food and shelter in return for free labor. Meanwhile, an uproar brews, as Cassius’ former friends and telemarketing co-workers, Salvador (Jermaine Fowler) and Squeeze (Steven Yeun), go on strike and form a union, and that’s only scratching the surface of what happens from there. Having made impressions in several supporting roles in 2013’s “Short Term 12” and 2017’s “Get Out,” Lakeith Stanfield is spectacular stepping into the lead as Cassius Green. He makes for an accessible everyman, grounding the film even when the narrative becomes outlandish. Tessa Thompson (2018's "Annihilation") is dynamite as Cassius’ feminist girlfriend, who even dips her toe into using her “white voice” (the voice of Lily James) when it comes to one of her provocative art performances and gets to sport inspired costume design, like a pair of earrings that spell out "MURDER MURDER MURDER" on one side and "KILL KILL KILL" on the other. With no sign of Oliver from “Call Me by Your Name” to be found, Armie Hammer is insanely smarmy and dangerous yet still charismatic as the black-souled Steve Lift. Ambitious and messy, raw and ultimately unsettling, “Sorry to Bother You” is a singularly bold first film. It may overreach and never sobers out after a wildly weird turn, though without it, the finished product wouldn't be what filmmaker Boots Riley intended. As is, the film has no use for much subtlety in the name of satire and unleashes its own blistering vision in commenting on the zeitgeist of 2018. 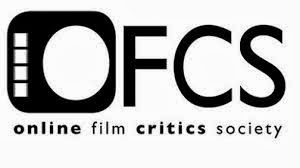 Besides, a film that provokes and goes for broke as a $3.2-million undertaking is always preferable over a film taking zero chances with an even bigger budget. 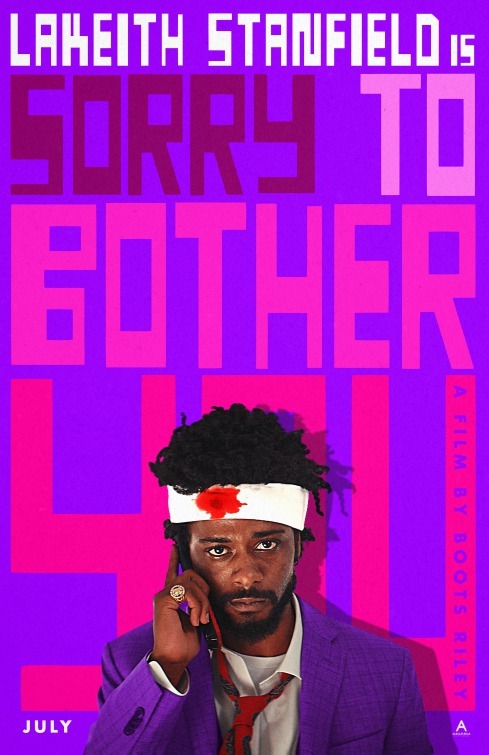 If anyone wants to debate that art can’t be political, get a load of “Sorry to Bother You.” One needs to see it just to believe that it exists.